“Two federal agents are dead,” said House Oversight Committee Chairman Darryl Issa. “While Attorney General Holder and other top officials at the Justice Department have refused to address the reckless decisions made in Operation Fast and Furious that have created a serious public safety hazard, investigations led by Sen. Charles Grassley and I continue to receive information from deeply concerned insiders who believe those responsible for what has occurred cannot be trusted to investigate themselves.” – Attorney General Holder blasted for “creating public safety hazard” – Jim Kouri, May 6, 2011, Renew America. Former Attorney General Eric Holder — in the tradition of former officeholders from the Democratic Party — has been enormously vocal about his hatred for President Donald Trump as have been the Democratic Party and their news media subsidiary. Holder’s latest attack — joining former Communist Party member, Saudi Arabian Wahabbi Muslim convert, and CIA director John Brennan — against Trump is the presidential ordering of the release of documents connected to the Foreign Intelligence Surveillance Act surveillance warrants that led to the creation of Robert Mueller’s Special Counsel witch hunt. 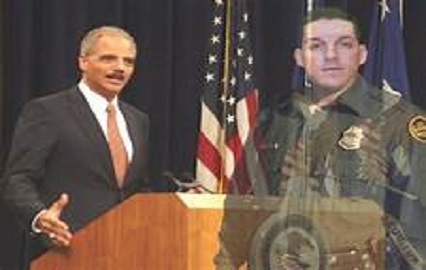 The dangerous abuse of executive power to cover up the suspected criminal activity of Eric Holder in his self-serving refusal to turn over unredacted documents to Congress that provided information in an illegal gun-running scheme to Mexican Cartels was far more dangerous. It was deadly dangerous. 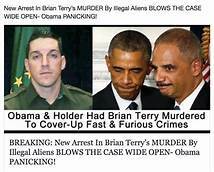 A U.S. Immigration and Customs Enforcement (ICE) agent, Mexican nationals, including a beauty queen and local police chiefs, lost their lives, along with victims in Paris during a terrorist attack in that criminal activity under Holder’s Justice Department and the Bureau of Alcohol, Tobacco, Firearms, and Explosives known as “Operation Fast & Furious. And though he never faced real justice, House lawmakers held him in contempt of Congress. 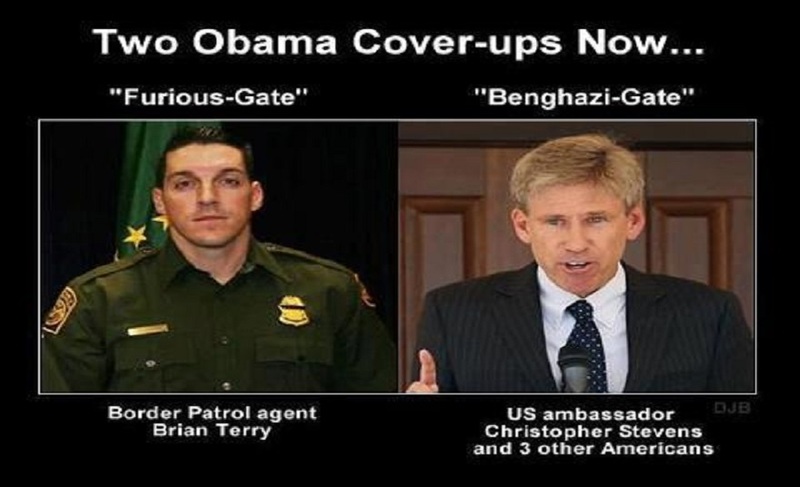 In fact, one of the Americans killed was a U.S. Border Patrol agent named Brian Terry. Holder has no idea of what justice is. He tapped the phone lines of journalists, signed off on an illegal gun trafficking scheme and continually advance unconstitutional policies, including the push against the Defense of Marriage Act and covering for his criminal boss, the usurper-in-chief, Barack Hussein Obama Soetoro Sobarkah.